This is a terrific CD. The music is glorious and the performance is perfect. I wouldn't trade this CD for anything. 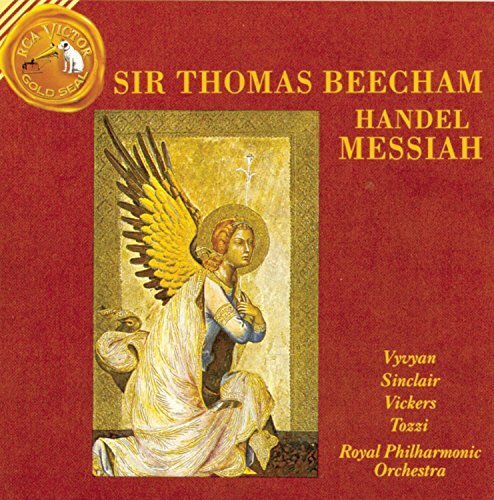 I'm a big fan of Handel's Messiah and Bach's sacred choral works. 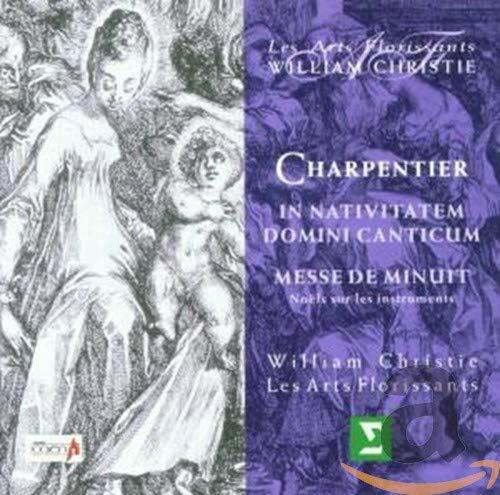 These works by Charpentier -- in particular, the "Messe de Minuit" -- are right up there with those works, in my humble estimation. The more I listen to the CD -- and I have listened to it at least 20 times since I bought it last month -- the more I enjoy it. I'm particularly impressed by the performance. The recorders and other woodwinds sound great, and the choir is superb. I highly recommend this CD! I can't add much to the superb review by lesismore26 (I give it five Stars! ) but I do have one disagreement. I LIKED the Ulrica aria. Yes, the voice is past its prime, but the artistry is very much there. In fact, the piece makes it clear that while her voice sounds perfect for her repertoire, it could have handled opera quite beautifully too. It's true that the pure, ethereal quality of her tone is DEFINITELY well suited to Baroque and Classical oratorio, and true that there simply aren't that many roles for contraltos. But it is also true that these reasons had NOTHING to do with why this particular contralto was not singing in opera houses. Another voice as dazzling as hers would have had composers creating roles tailored for them. I came across the Solti, CSO / CSO Chorus recording of Handel's Messiah via a sale at a local record shop.I became a fan of Solti when I purchased his recording of the Beethoven 9 with CSO / CSO Chorus under the Penguin label.So when I saw Solti, CSO and CSO Chorus on the jacket cover of Handel's Messiah, I could resist no more. Handels Messiah is a piece that people usually just listen to excerpts and therefore miss an amazing piece of music. Handel is not Bach, Wagner or Mozart, however, he is still an amazing composer. The Messiah is considered by many to be his magnum opus and one would be hard pressed to disagree. 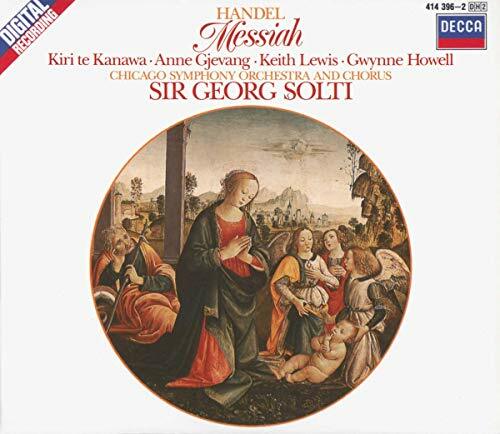 This 1985 recording conducted by Sir George Solti is an amazing rendition and whilst we have no idea of how Handel himself conducted this piece, this rendition does it justice. The vocal performance by the singers is quite well done and Ms. Kanawa, Ms Gjevang, Mr Lewis and Mr. Howell all do an admirable job. 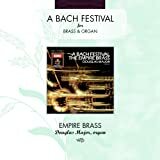 I love the inclusion of the harpischord and consider it to be one of the major driving forces behind this amazing piece of music and David Shrader does an awesome job with this not so simply instrument. Absolutely extraordinary and spellbounding performances! These are extraordinary and spellbounding performances. 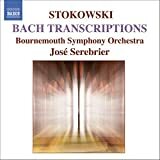 The legendary Stokowski sound lives again, now in the hands of that great Maestro JosÃ© Serebrier, who has put his personal touches to the remarkable Stokowski versions of Bach works. This recording is to be enjoyed from the first, magical tones of the Air from the 3rd. Suite, to the last track, the massive Passacaglia and Fugue in C Minor. In between, we are treated to one of the best recordings ever made, in clarity, sound, beauty. Transcriptions for orchestra, once a staple of many orchestras, have fallen out of favor in the past few decades. Tastes seem to lean more toward more authentic renditions of the works of the great composers and for some, orchestral arrangements are nothing short of musical apostasy. Yet we can forget that in many cases, these arrangements were the work of some of music's great legends, one of whom is the well known twentieth century conductor Leopold Stokowski. The opera "Semele" written around 1740 was derived from a drama by the English playwright William Congreve.The story is based on Ovid's "Metamorphoses" and tells of the ill-fated love of Semele and Jupiter. If you want to know what happens when a half-dozen of the worlds' greatest singers are performing in one opera all together,this recording will tell you. The results are fantastic!!!! 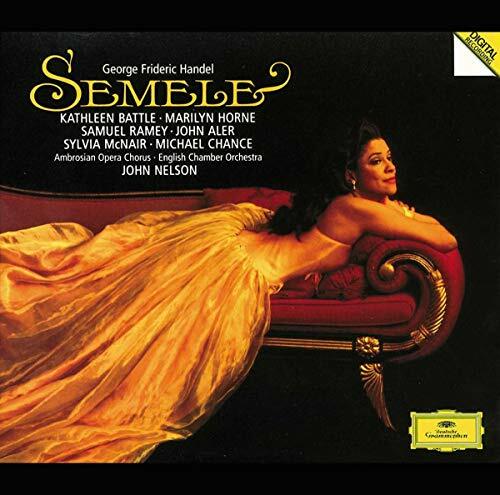 !Kathleen Battle as Semele sails up and down scales and arpeggios effortlessly.Two of her outstanding arias are:"With Fond Desiring"in which she takes on the whole violin section performing scales in 3rds; in the aria:"Myself I Shall Adore" she stuns with phenominal virtuosity!!!! !Then there is Marilyn Horne who plays 2 roles that of Juno (the goddess) and Ino ,Semele's sister. 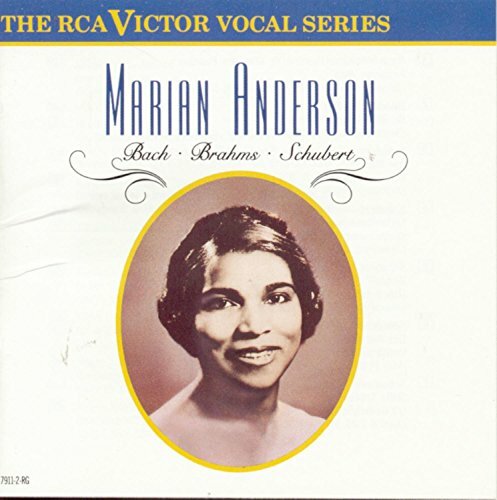 Her voice with it's mellow rich timbre is a great contrast to Battle's high soprano.And the voice of Samuel Ramey has never sounded better; he is so Basso!!!! !..Sylvia MCNair does a great job of portraying the somewhat "flip" character of the Goddess "Iris".Some of my personal favorite arias are sung by that ever talentedcountertenor :Michael Chance,who has several "meaty" selections in this opera my favorite being:"Despair No More Shall Wound me" which is the last aria in the opera.How could you possibly go wrong by having this disc!!!!!! I checked this out on a whim from the library and it BLEW me away.I'd never heard a Handel opera before and had no idea it could be this beautiful.The arias sung by Kathleen Battle are BEYOND SUBLIME.Just listen to track 6 on either disc 1 or 2 and you WILL be KNOCKED OUT.I'm now in love with Battle and plan to purchase this set very soon.You can't deny yourself the intense pleasure of this recording.And yes, it's BETTER THAN THE MESSIAH. 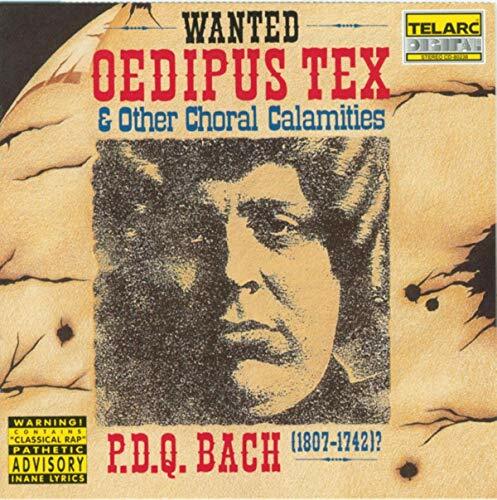 Oedipus Tex & Other Choral Calamities is one of the must haves from PDQ Bach. This album has some of his best stuff on it including the title tracks and one of the funniest songs he has composed "classical rap" this is well worth one's time to check out. Virtually every CD that Peter Schickele has put out under the name of PDQ Bach has been absolutely hilarious.This is one of his best albums - it will have you in stitches in no time flat. Llevaba mucho tiempo tratando de conseguir El SueÃ±o de Geroncio y ha sido la primera vez que he utilizado este servicio. Ha merecido la pena. La grabaciÃ³n es magnÃ­fica y es una versiÃ³n diferente a todas las que habÃ­a escuchado. La calidad es estupenda aunque sea una grabaciÃ³n que tiene ya unos aÃ±itos. 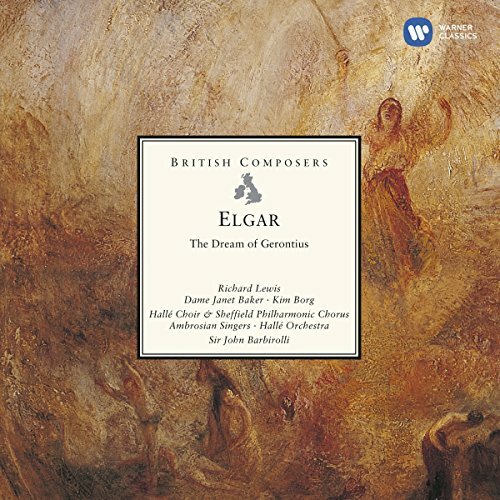 I agree with the other reviewers' enthusiasm for this performance; Barbirolli's Elgar is always worth listening to, and Baker's angel is sublime. EMI's remastering of the original recording, though, is unkind to Baker's & Lewis's voices. 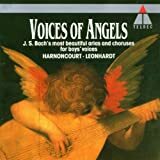 The original was unsatisfactory in the choral passages, but exquisite in the quieter parts, especially the beginning of the second part, between the angel and the soul. What we have in the CD is an all-round tonal coarsening. This isn't the first time EMI has done this: the CD version of Beecham's magnificent "Faust Symphony" is another travesty of the original. You have to wonder if these people know anything about musical performance at all as opposed to playing with their machines. The unfortunate thingï¿½if anything can be said to the contrary about thiscollectionï¿½is that is an older recording. As far as authenticity, what wasavailable in the days of Bach and Handel to perform their music, and whatthey may have had in mind as the formidable way of presenting it to thepublicï¿½as well as to the heavensï¿½may be quite different things. Viewed inthis way, authenticity may be an abstraction we are not here priviledged tocomment on. Fine recording, but doesn't work for me. I love several of J.S. 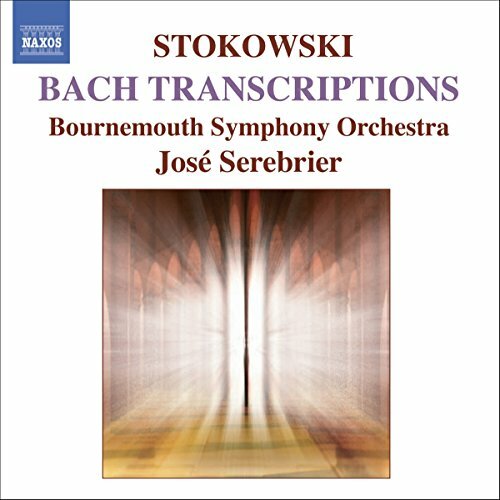 Bach's cantatas, and enjoy hearing them in a variety of ways--period performances, orchestral arrangements, etc.Therefore I'm not one to insist on authenticity.Nevertheless, the chorushere sounds too big for the Bach.Also, the program needs more variety forstraight through listening.Chorus after (massive) chorus doesn't work forme. 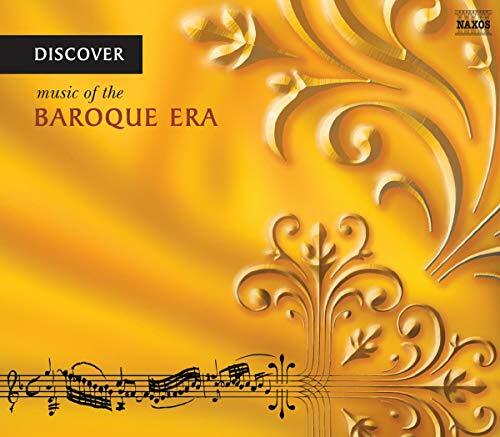 Yet another great bargain-priced package from Naxos effectively provides an overview of the rich Baroque period with two discs containing more than 2 ï¿½ hours of music and a comprehensive, 140-page primer booklet. Compiled by music historian Clive Unger-Hamilton, the collection is well-chosen to represent the many different facets of the era without recycling the more obvious candidates like Vivaldi's "The Four Seasons". The quality of the playing and singing is top-notch throughout, and the program contains quite a smorgasbord of pieces from dramatic opera arias to harpsichord pieces (sometimes played on authentic instruments, other times on modern grands) to full-blown choruses. 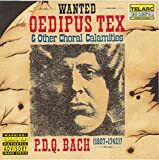 Standout tracks include Allegri's "Miserere mei" with an ethereal boy treble soloist; two arias sung by soprano Ingrid Kertesi, in particular, Almirena's lament, "Lascia ch'io pianga" from Handel's "Rinaldo"; and a lovely "When I am laid in earth" from Purcell's "Dido and Aeneas" performed by soprano Kym Amps. The choral pieces can be astounding from Bach's "St Matthew Passion (BWV 244)" performed by the large Hungarian Festival Chorus and full symphony orchestra to the eight voices that wrap themselves around "For unto us a child is born" from Handel's "Messiah". 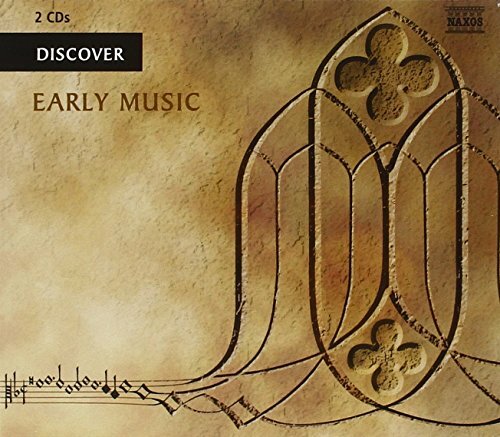 This is one of a series of the'Discover ...' 2 CD sets -- at super-budget price -- from Naxos that makes use of complete movements of music from the era in question. It is accompanied by an excellent booklet - a thick one! - with an explanatory essay that gives background on the music as well as blow-by-blow descriptions of the music being presented. All the selections (from such composers as Monteverdi, Handel, Bach, Scarlatti, Schï¿½tz, Purcell, Corelli, Pachelbel, Charpentier, et al.) are from Naxos's extensive library of recorded music and as far as I can tell all the performances are top-notch. Good stuff.I have many of these peices separately in other CDs of Bach's cantatas under the direction of Leonhardt and Harnoncourt.The boy sopranos in this cd are wonderful.Great balance between instrumentalists and vocalists is a hallmark of the Harnoncourt/Leonhardt style.I highly recommend this CD. 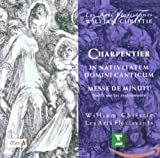 These are undoubtedly beautiful perfomrance, notably on the choral works. The tempo isn't too fast nor too slow, and the balance between "authentic" and modern use of intrumentation is nearly ideal. Wonderful, if you don't already have these! I first became acquainted with this recording at the tender age of 12 when I received the original Soria edition as a Christmas gift. I remember being intensely disappointed at what seemed to me then as more circus than music. 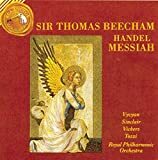 Time has mellowed that negative reaction and gives a more balanced assessment of Beecham's achievement - I bought the CD reissue after all. It still doesn't inspire much affection in yours truly although I can appreciate the soloists' contributions, particularly Tozzi. The lamented Vyvyan was in better voice with Boult. Here she has a rapid vibrato and a curious way of articulating the high notes. The orchestrations seem to maintain more of the clarity of the writing by concentrating on the bass and the top without clogging up the middle voices in the manner of the Victorians. There are three pieces where it just doesn't work at all to these ears: the brassy "All we like sheep," "Hallelujah" (which summons visions of Fucik's 'Entry of the Gladiators' every time I hear it), and the disintegration of the obbligato trumpet into flute noodlings in "The trumpet shall sound," in a lightweight performance that is at odds with the grandeur of the text. I'll also admit that the splashy brilliance of "For unto us a Child is born" and the surging drama of "Surely, He hath borne our griefs" are very satisfying. This recording is worth having first of all beacause of the credible singing of Jon Vickers! Yes, he really sings on the words. The "Comfort Ye" and "Every valley..." have a knew dimension after Jons reading of the score. Of course I know that in tradition we want a very much more lyrical voice to this masterpiece. But he's not alone here, and now we are already into the problem; the choir! It's just terrible, yes terrible! Love this CD!Feel in love with it from the first hearing!The Titanic fantasy is wonderful, perhaps a tad long, but wonderful just the same.I got used to the flat high D after a couple hearings.The Hansel und Gretel is nice, but arranged a whole step below the original key, and it looses a little luster.There is a wonderful published 8 part arrangement of this in the original key that I think is better. This CD has some really beautiful playing, but a lot of the selections are cheesy. i.e. Titanic. They might as well have hired Celine Dion to sing along with them. And although there are some real "wow" moments like when you listen to Caravan for the first time, (The lead horns sound like the trumpet section in a jazz band), overall, the Cd isn't that exciting to listen to more than once. On the other hand, Take 9 is a CD featuring the American Horn Quartet & The Horns of the NY Philharmonic. Not only do they kill the Londoners with their technique and intonation, but the repertoire better suits the medium than lame pop fantasies. Of note is the orchestral transcription of Overture to Candide. I say transcription because yes, they even play the flute and clarinet solos in the correct octave. TAKE 9 Check it out! 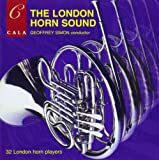 This is THE CD I listen to on the way to rehearsal.It truly inspires me to do my absolute best!You've got to love Roman Carnival - so excellent!I would recommend this CD to anyone, especially horn and brass players.These performers are just phenomenal.What else is there to say? 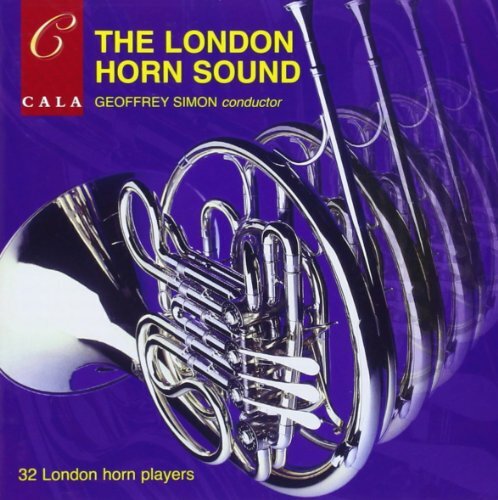 This recording brings all the finest voices of the twentieth century together with one of the finest conductors and orchestras.The sound quality is quite good, however, the overall intonation is quite sharp--a problem we used to have to deal with with LPS. That might also have made the tempi a bit faster than they were at the original performances. Aside from the pitch, the recording serves to remind us of the highest caliber of music making, just one step away from the German romanticist performers of the 19th century. Fritz Wunderlich's Last Recording: Karajan's Greatest "Creation"
This stunning recording from Deutsche Grammophone is Karajan's greatest recording of Haydn's Creation (of the two he recorded). In his prime as a conductor, he is musically potent and does not succumb to his usual overly grandiose manner. The singers are doing a heck of a job in their solos and ensembles. Of particular interest is the renowned 40's and 50's German tenor Fritz Wunderlich as the angel Gabriel and as Adam. He is singing in his last studio recording before his tragic death of cancer. Soprano Gundula Janowitz sing with ravishing voice, lyrical and lush, the voice of an angel. Baritone Dietrich Fischer Dieskau is in his element. He totally fits the baritone part of the archangel Uriel- a big, dramatic but noble and beatiful, God-like voice. Dieskau is in his glorious prime and pulls out all the stops. Mezzo soprano star Christa Ludwig sings the role of Raphael, normally a part given to another tenor. But her dark lower register is enough to make her worthy of the role. Walter Barry is also featured in this recording and his baritone voice is also ingenious. The orchestra is colorful, bringing out all the mystery and religiousity without being overt. The opening Prelude, "Chaos" evokes the Big-Bang and the subsequent formation of suns, stars and planets!! The choruses are magnificent and well-trained. Each of these singes are German, or Austrian, and therefore know how to sing with native pride. 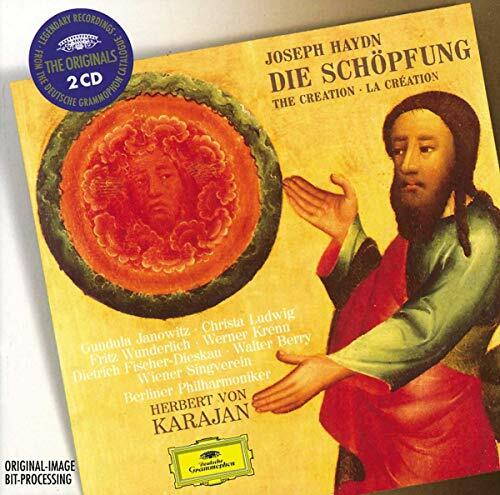 For other superb recordings of Haydn's Creation, check out the recording with conductor Antal Dorati and starring the radiant soprano Lucia Popp and incredible baritone Kurt Moll. Karajan live or Karajan studio? Since no one has compared this studio recording from 1966 (patchwork being added up to 1969) with Karajan's live performance from Salzburg the year before, I thought I'd fill in the gap. 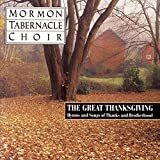 This review is posted twice, both here and under the live recording, also on DG. I'm really enthusiastic about these CDs and booklet. I've had it for a few weeks now, in which I've explored Medieval and Renaissance music much more deeply than this little book and CD set. Yet I'm very glad I started with these. 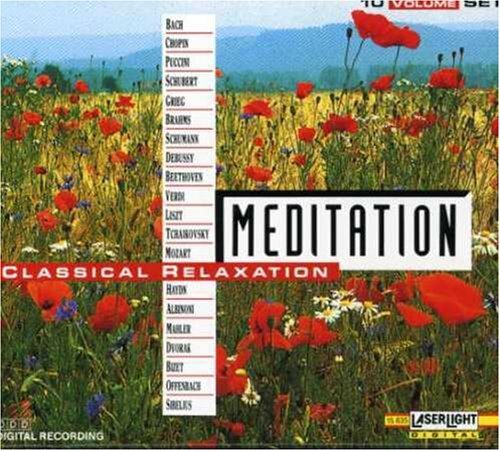 Relaxing music at its finest! This is a GREAT 10-CD set!The performances are top-notch, the music is varied, and the feelings engendered are wondrously beautiful. Get it for $9.99 at Sam's Club! Very nice set of CD's, very beatiful and relaxing, but don't pay $27, get it for $9 at Sam's Club. I know this will be censored but come on, how can you guys charge those saps that much! Amazon should try to find the best price for its customers, even if it sends them to different vendors. Censoring this message is a crime, DON'T DO IT. NOOOOOOOOOOOOOOOOOOOOOOOOOOOOO! 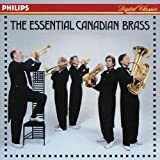 The Canadian Brass have been a lively and fun force in music for decades, since being brought together in Toronto 'by a gleaming vision of brass sound'.They are now world famous, having delighted and dazzled people in concerts all over the globe.One of the problems for a group such as this is the lack of repertoire readily available, so the group has become expert at arranging pieces for other instruments for their ensemble.They have also commissioned a good number of pieces of their performance. This CD is amazing. It's a shame more people don't know about this incredible group. 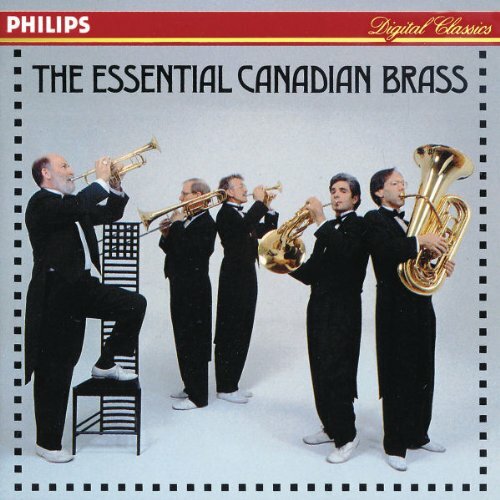 I'm a brass player and I just learned of these guys a few months ago. If you like classical music or brass music, this is a must own! 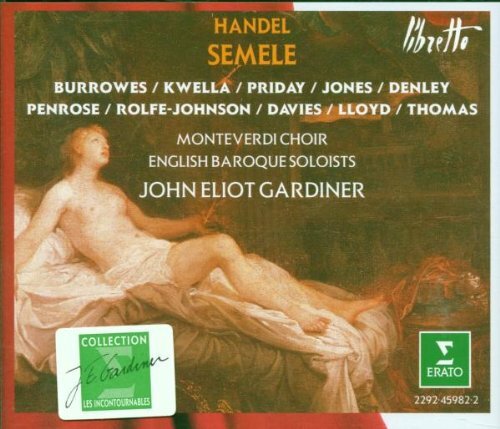 I recommend this Semele recording for a simple reason. Norma Burrowes is perfect as the title role. She has a freshness in her voice, a youthfulness that is necessary to sing Semele's part, and that is not found with other sopranos, who tend to sound too mature. Her rendition of "Oh, Sleep, why dost thou leave me"is unbeatable. Burrowes' voice makes great contrast with Della Jones' as Juno. I also find Anthony Rolfe-Johnson's voice as Jupiter a little too youthful for that matter. Tuneful, dramatic, succinct . 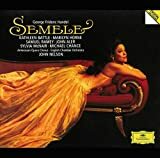 . .
David Hurwitz, the Amazon.com reviewer, refers to "Semele" as the first ever opera in English, but surely is forgetting "Venus & Adonis" (Blow) or "Dido & Aeneas" (Purcell), which date from the previous century (and may be unaware that the same libretto by Congreve that Handel used for Semele was set decades earlier by Eccles, though never performed)!This incredible oversight is matched by his opinion that Nelson's 'modern' performance surpasses Gardiner's. (I was first acquainted with Nelson's recording before I got to know Gardiner's, and Nelson's is too problematic to my ears to even consider buying at a knock-down price). This is a wonderful album showcasing the very best of Lucia Popp (as the title suggests).Her voice was absolutely beautiful.She could sing the slavic languages like no one else.Her version of Dvorak's Song to the Moon is unbeatable.I dare anyone to find a better performance!Also, the song from Die Zauberflute -Ah Ich fuls (sp?) 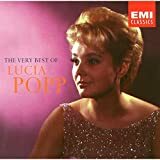 is outstanding.I've yet to hear a better version.Her diction was fantastic and while she wasn't the highest soprano around - she knew what worked for her voice.This is album is a keeper! So You Thought Bach Couldn't Dance! This recording is almost certainly the same as the one listed as Angel 47395, with the same title.